I guess indie bands are always trying to come up with their name with something either wholly original or just something borrowed from an unlikely source. With that, I suppose Knesset being named after the legislative branch of the Israeli Government would certainly fall into the latter. 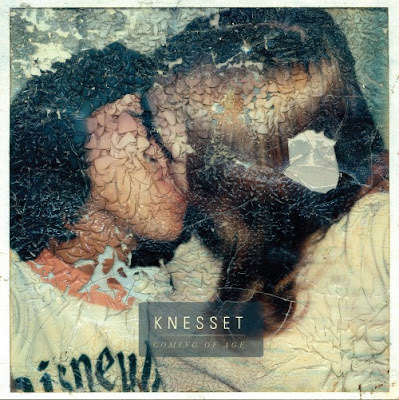 Hailing from Phoenix, Knesset has released their debut album "Coming of Age" on Japanese label "& Records". Nicely orchestrated shoegaze indie that calls to mind some early Death Cab for Cutie, but also touches on much new ground on it's own right.
" Knesset’s discerning aesthetic, driven by principle songwriter and vocalist Evan Fox, delivers their catchiest moments within adventurous orchestration. Primary drummer Jeffrey Olsen and guest Michael Bell (Lymbyc Systym), who contributed to three songs on the album, propel the band’s impressive guitar work and ear-catching instrumentation with driving, creative beats. As a result, Coming of Age recalls the structure of American Analog Set and Blonde Redhead mixed with the playful studio experiments of Broken Social Scene and Sonic Youth ". The album is also mixed by producer John Congleton, who has worked with many terrific bands including a current FPT favorite Explosions in the Sky.